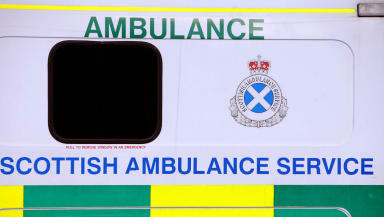 The nitric acid was spilt at a recycling centre near Dunfermline on Tuesday afternoon. Workers are being checked over after a chemical spill at a recycling centre in Fife. Fire crews, ambulance and police were called at around midday on Tuesday after the nitric acid was spilt at Wellwood Recycling Plant near Dunfermline. Nine people had to be taken to hospital to be treated after they inhaled the fumes from the fluid. The area around the container has been cordoned off and workers who may have come into contact with or inhaled the fluid are being checked over. The 10 litres of fluid is 68% nitric acid and cannot be cleaned up by firefighters, who are having to call in specialist company. A spokesman for Fife Constabulary said there is no risk of danger to the public. In high concentrations, inhaling nitric acid can damage the lungs.